Natural selection in nature taking control over all animals on earth. It makes sure that only the the best, strongest, smartest survive. Every animal, organism, plant in the world is effected by natural selecting. The Ivory-Bill is no different. The Ivory-Bill is a huge bird and thus has a very large wing span. This might help it glide or escape persuiters. Every human is different from each other and birds are the same. If one of these traits is able to keep the bird alive and well then the bird will multiply causing the trait to split up. After thousesnds of years a little train can have moved into every bird causing nueterial selection to happen. 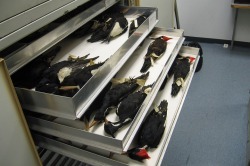 The Ivory billed woodpecker has made a lot of adaptations over the years to survive. One changes is that the Ivory-Bill has a very long and powerful beak to rip the bark off of trees to get at bugs. Another adaption could be that they have large feet and talons to grab onto the bark of trees. This helps a lot when they are ripping bugs out of trees for food. Another one they have is the ability to work together as a group to get rid of a threat like a hawk or a fox who folowed it up the tree. They are able to understand that its better to work together to get rid of a threat then to work sepertly. This gives them better chances of serviving a live threating event. A Large beak is very useful for many situations such as fighting off prediters and getting into tree bark. with out this it would be near imposable to get into the bark of trees and the Ivory-Bill would have found something else to eat. This can be a bad thing for most animals because it makes it harder to run around and and move around. It can hinder balence and make it hard to fly in this case because the Ivory-Bill is a bird. To keep a large bird in the air you need large wings. Large wing spans are needed to keep large birds in the air and stable. This can be a bad combination in a forest because there are alot of trees around. Making it immposable to fly for long periods of time. The Ivory-Bill flies above the trees instead when it has to fly for long time periods. At the first site that there is danger the Ivory-Bill is ready to attack anything to save its territory or nest. Since they are large birds they can take on small animals such a foxs and wolves.